If you had the power to brighten someone's day would you? To me food equals passion. You can express so many different emotions through food. Sometimes you don't even know the impact a simple thing can have on another person. So make this recipe for someone to show your appreciation or just to brighten his/her day! I made these little fudge bites for my teachers at school. 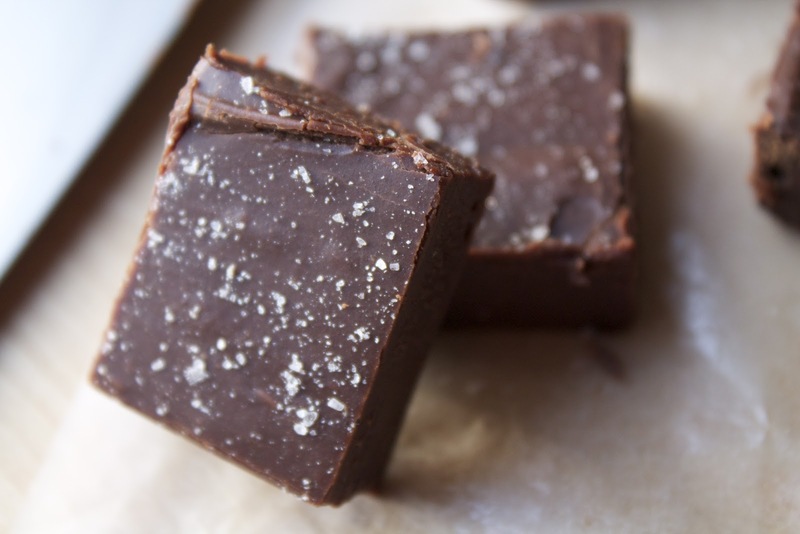 This fudge recipe is so easy to make! All you need is a couple of ingredients, and you are all set! These candies would also be perfect to serve at a cocktail party for dessert. The chocolate is enhanced by flavors of coffee, vanilla and salt. I recommend cutting them in little squares so that you can make more out of them. Grease a 8x8 square pan. Line the pan with a long piece of parchment paper. Make the parchment paper long enough so that it drapes over the sides. This will aid in removing the fudge from the pan later on. Set aside. 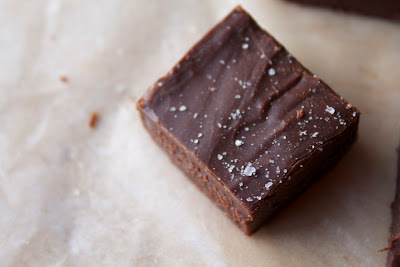 Add all of the ingredients except for the sea salt to the bowl set over the double boiler. Melt the ingredients together until smooth and combined. Stir occasionally. Pour the mixture on the prepared pan. Even out the top using a spatula. Sprinkle immediately with sea salt. Let the fudge set for at least 2 hours or until hardened (you can even put it in the refrigerator). Once the mixture is set, remove it carefully from the pan. 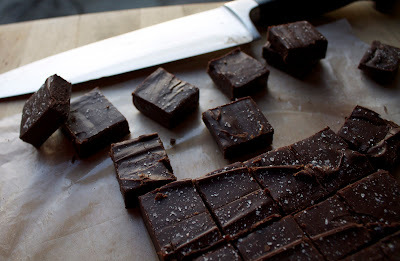 Using a heated knife, cut the fudge into even mini squares.